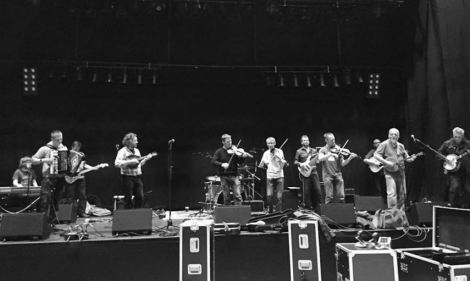 A NEW local supergroup has formed for this year’s Shetland Folk Festival – and it’s a who’s who of the isles’ music scene. Dwaam – otherwise known as the Festival Spree Band – are conglomerate of musicians from acts like Hom Bru, Bongshang, Haltadans and First Foot Soldiers. Their only gig will take place at the Clickimin in Lerwick on Friday night as part of the Scots on Da Rock show – although whispers suggest they could grace the festival club at Islesburgh later on in the night too. Some of the names involved include Gary Peterson, Maurice Henderson, Arthur Nicholson, Lois Nicol, Bryan Peterson and JJ Jamieson. The group’s set will be all original music, with tracks from some of the members’ dayjob bands due to be reinvented. First Foot Soldiers and Trookers members Chris Thomson and Robert Balfour will provide keyboard and drums respectively, and it seems excitement is rising for their big debut. “From taking up the drums a few years ago to play covers in a rock band, to performing on the Clickimin stage in front of 1,000 people with 12 of Shetland’s finest musicians…it’s all a bit wild, to be honest,” Balfour said. 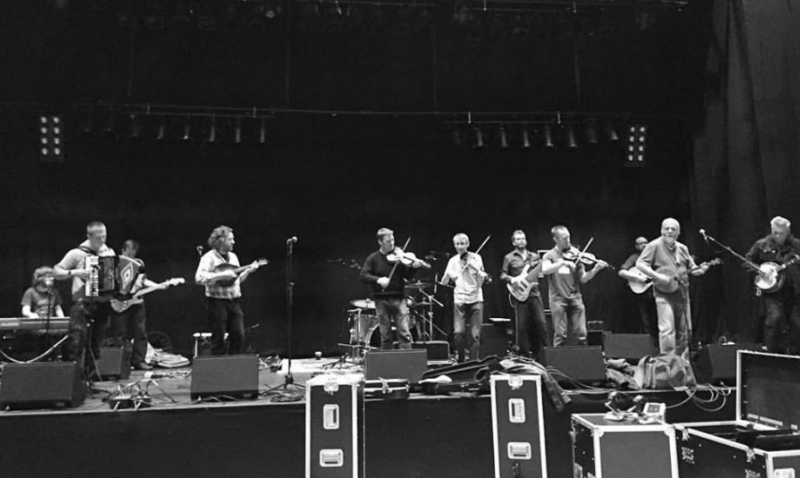 Thomson added: “I’m getting to play with musicians I never thought I’d share a stage with. It’s a great band mash-up and I think folk are going to really enjoy it.